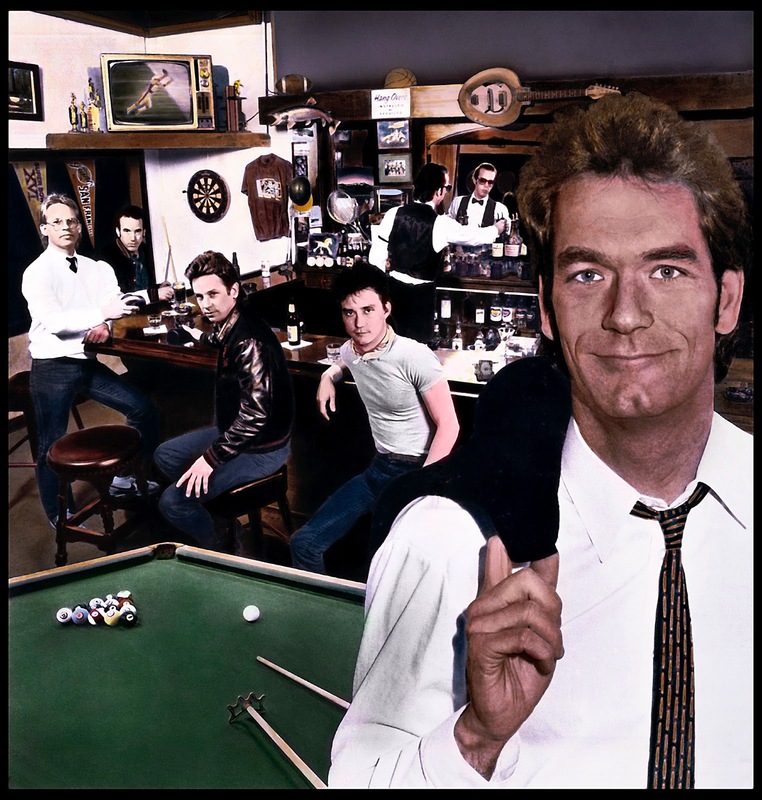 The mega-platinum album Huey Lewis and the News "Sports", released 1983, was in many ways homage to the spirit of the San Francisco 49ers. . In one of best NFC playoff games EVER, the 49ers beat the Dallas Cowboys 28 to 27, moving on to win Super Bowl XVI against the Bengals. The cover shot includes a frame-grab of Dwight Clark on the television in the background making one of his 8 completions during that game. In that game, with 51 seconds remaining, 49ers down 27 to 21, Clark made the play that was thereafter immortalized as "The Catch", pushing the 49ers ahead with 51 seconds left on the play clock. I shot this album cover at the the Deuce", otherwise known as the Two AM Club in Mill Napa Valley. Huey insisted on the "Sports" bar for the cover location and that the 49ers be on the TV in the background. With a knack for the double entendre, to visualize SPORTS Huey chose a Sports Bar rather than more obvious images of an actual engagement on the playing field. Their next and fourth album was named FORE!, again using the double entendre to lead the branding, using the classic golf expression with Mario Cipollina holding a golf club on the cover. The Sports cover was made up of six images, collaged together "old school", using a scalpel, long before Photoshop existed. Later, I did another shoot with Huey at the Record Plant in Sausalito where the band recorded the album, enabling a better, larger feature portrait of Huey for the cover. I found the ultimate pool table at the Palace Billiards on Market Street in San Francisco. The toilet seat guitar, in the background, priceless. After assembling the six images in black and white, I then hand-tinted the final artwork for the cover. The rest is history. Go Niners - hopefully more history made by the time you have read this.